Oil Finish is NSF-approved Food Service grade. Imperfections such as glue, dings and tool marks, might show because this is commercial grade to be used in a business. 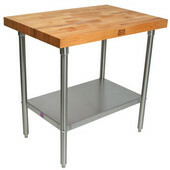 This John Boos Work Table is a handsome addition to any work area. With a 1-3/4" thick Hard Rock Maple top, this table is built to survive bakeries, delis, restaurants, industries, home workshops and more. There is a four" coved riser on the back and both ends, keeping important items from leaving the table. The maple top has a varnique finish and the galvanized base is 100% pre-galvanized steel, not plated! 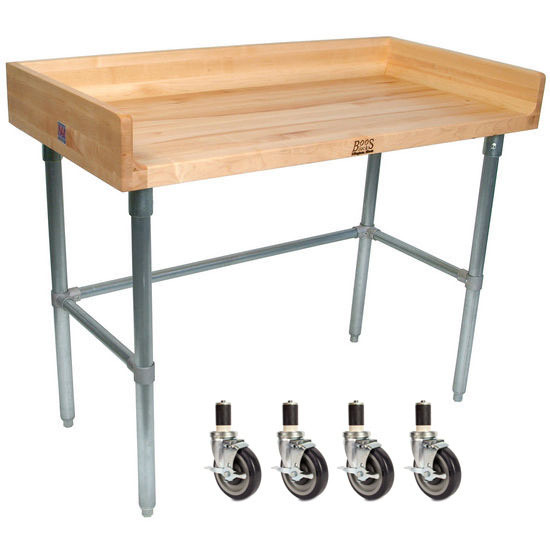 Adjustable bullet feet make leveling the table easy. Some assembly is required. 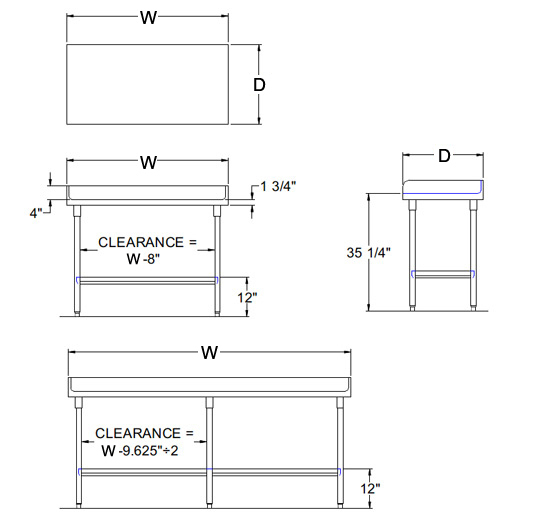 This Work Table is approved by the National Sanitation Foundation.